Stop letting wrinkles and sagging skin speak for you. Aging not only creates gray hair, achy joints, and fine lines and wrinkles, it can also strip you of your self-confidence. At Anand Medical Spa, we have the solutions you need to target your signs of aging using a variety of dermal fillers and injectable treatments. Schedule an appointment at our office in NYC today to learn more about how injectables can cure your aging woes. Injectable treatments fall into a number of categories, the main two being wrinkle relaxers and dermal fillers. Both types of injectable treatments work to reduce or eliminate common signs of aging throughout the face but use different methods to achieve facial rejuvenation. Wrinkle relaxers like Botox target the small facial muscles responsible for forming wrinkles, taking a more proactive approach to anti-aging treatment. When injected into specific and targeted areas of the face, Botox can temporarily and harmlessly relax muscles to prevent wrinkle-forming contractions. With regularly scheduled maintenance appointments, patients who undergo wrinkle relaxer treatments can successfully target frown lines, forehead wrinkles, crow’s feet and much more. Injectable fillers like Juvéderm and Restylane focus on rehydrating the skin and repleting volume by supplying it with naturally occurring substances like hyaluronic acid. Over time, our skin slowly loses its natural supply of hyaluronic acid, collagen, elastin and fat. Combined with the constant downward force of gravity, a loss of above can have lasting effects on the skin that cause sagging, deep wrinkles and fine lines throughout the face. Using fillers, Dr. Chugh can rehydrate the skin and restore lost volume to produce a refreshed and more youthful appearance. Fillers can also be used effectively to provide a nonsurgical alternative to a facelift, brow lift, nose job or lip and cheek augmentation. At Anand Medical Spa, we offer Botox and Dysport injections for patients interested in wrinkle relaxer treatments. For those interested in dermal fillers in NYC, we carry Restylane and a variety of Juvéderm products for all of your cosmetic needs. We also provide Kybella, an injectable fat loss treatment designed to eliminate excess neck and under-chin fat for a tighter and sleeker jawline. With a wide range of injectable treatments at the ready, Dr. Chugh can help you achieve a lasting and satisfying improvement in your appearance. Botox is specially formulated using botulinum toxin type A, which, when injected in small amounts, safely stops nerve impulses from reaching the muscles to prevent strong contractions and improve wrinkles. Results are noticeable with just a single treatment and start developing in three days. Results fully develop in 10 to 14 days, and most patients enjoy their results for three to four months, at which point a maintenance appointment will be needed to sustain results. Each Botox treatment lasts less than a half hour and requires no downtime. Side effects can include minor swelling and bruising, which subside in a few days and can be hidden using makeup. In addition to targeting common cosmetic concerns, Botox can also be used to improve a patient’s quality of life. Botox has recently emerged as a viable treatment option for eliminating underarm hyperhidrosis, or excessive sweating. Botox may also be used to treat temporomandibular joint (TMJ) disorders that can cause pain and discomfort, as well as chronic migraines. Schedule a consultation with Dr. Chugh to learn more about Botox’s versatile uses. During a dermal filler appointment, Dr. Chugh will administer the product with a series of injections in and around the targeted area. All dermal filler products offered at Anand Medical Spa contain lidocaine, a local anesthetic, to ensure a comfortable procedure. Most appointments last 30 minutes or less, and patients are free to resume their normal routines immediately following their treatment. Common side effects include mild swelling and bruising around the injection sites. Results are immediately visible and can be long-lasting with regularly scheduled maintenance appointments. 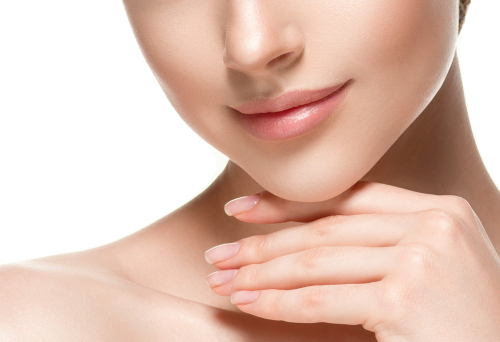 Each dermal filler has unique and versatile uses, and Dr. Chugh will help you determine which type is right for you following an in-person evaluation of your skin and your concerns. Formulated with a thinner consistency to target mild to moderate wrinkles and folds, and is also an excellent filler for lip enhancement. Results last six to 12 months on average. Made with a thicker consistency than Juvéderm Ultra XC to target deeper, more prominent wrinkles and folds. Can correct a moderate amount of facial volume loss, redefine and contour the jawline, and provide a nonsurgical nose job. Results last up to one year on average. Made for targeting moderate to severe wrinkles, marionette lines, nasolabial folds, smile lines and chin wrinkles. May also be used off-label to add volume to the lips and correct hollow under-eyes. Results are long-lasting, with most patients enjoying improvements for 12 to 18 months. The first and only FDA-approved dermal filler that can instantly increase cheek volume. It can also be used off-label to add volume and/or definition to the chin, nose and jawline. May be used as a nonsurgical facelift alternative with results lasting up to two years. Designed for use in the lips and surrounding area. Can target and improve thin lips, vertical lip lines and wrinkles around the mouth. Results typically last up to 12 months. Although Restylane can be used for moderate to severe folds around the nose and mouth, Dr. Chugh primarily uses Restylane for eliminating under-eye hollows and dark circles due to volume loss. Restylane injections produce immediate results and may last up to one year. Kybella is a unique injectable treatment that is the first and only FDA-approved injectable designed for reducing the appearance of submental fullness, or under-chin fat. Often unflatteringly referred to as a double chin, under-chin fat commonly accumulates due to aging, weight fluctuations or pregnancy and can decrease jawline definition to create an unattractive facial profile. With a series of two to four Kybella treatments spaced about four to six weeks apart, Kybella can gradually and successfully melt away excess fat. Kybella’s main active ingredient is deoxycholic acid, a naturally occurring substance capable of breaking down and destroying fat cells. Once Kybella has targeted fat cells, the body will gradually clear them away, revealing a sleeker and tighter chin over time. The treated fat cells are eliminated for good, meaning results are long-lasting. Patients are not immune from developing more fat due to an unhealthy lifestyle, however. Kybella treatments do not require any rest or recovery, although some patients experience mild to moderate swelling. Tenderness and bruising subside over the course of the following few days. Schedule a consultation with Dr. Chugh at Anand Medical Spa to learn why our name means happiness. Dr. Chugh will take the time to listen to your concerns and develop a personalized treatment plan that is right for you and utilizes the latest in minimally invasive injectable treatments. Call us today at 212-653-0366 to book your appointment at our office in NYC.